The siding of a house isn’t always the first concern of a homeowner when it comes to curb appeal, but it’s arguably one of the most important. The siding covers more surface area than anything else, and the color and style can completely change the way someone views your home. One popular siding material is aluminum. While all siding materials have pros and cons, aluminum has a few issues with it that can’t be avoided. Read on to find out the pitfalls of this type of siding. What Are the Benefits of Aluminum Siding? Before addressing the negative aspects, it’s helpful to know why people choose aluminum siding in the first place. It was first conceived as a substitute for sheet metal siding, which was prone to rust and wasn’t a good option for harsh weather. Unlike sheet metal, aluminum was a durable material that could resist the weather such as rain and snow. It’s also great at withstanding insect infestations. Wood, for example, can be prone to termite and even vermin problems since it’s an organic material. Aluminum doesn’t pose that issue. However, there are some problems you just can’t avoid with aluminum siding and we’ll go over them below. Aluminum comes in a few different grades, or what are called gauges. The gauge is an indication of the thickness of the aluminum. There are a few different types. For example, 40-gauge aluminum is .4 inches thick and is a very cheap material. Next is 44-gauge, which is a bit of a better quality than 40-gauge, and is also standard. The gauge goes up to 53-gauge, which is a nice and strong material. Prices vary for these different gauges, but you truly get what you pay for, so opting for stronger is always better. Aluminum has a lot of benefits compared to other types of siding. Unfortunately, one problem that comes with it is that you can easily dent it. Imagine that kids are playing outside and accidentally throw a ball into the side of the house. You may now have a noticeable dent in your siding. Another risk factor for denting are trees. If you have a ton of trees or shrubs near your house, a branch could easily fall and cause a dent. While aluminum is generally seen as weather-resistant, hail can do some damage to it. Equally as devastating, scratches can also be made quite easily into aluminum. Unfortunately, it’s not an easy feat to just fix the aluminum siding board that has been damaged. Aluminum doesn’t work in strips the way vinyl does, so many homeowners will find that it takes a lot of time and money to fix the dents and scratches, even when these problems easily occur. Vinyl siding comes with the color baked into it, but aluminum siding requires that paint be added to it. This means that homeowners will most likely need to re-paint their siding every few years in order to keep it looking fresh. Depending on where you live, the sun’s rays will effect the color, especially if you live in warmer climates with more intense sunshine. Because the sun impacts the color originally painted on the siding, it can be very hard to do touch-ups of the paint. You most likely need to re-paint the entire house, or you face uneven coloring. Aluminum tends to look more industrial than other sidings such as vinyl. Many homeowners find that it doesn’t have the refined look of vinyl or wood, even when freshly painted. Depending on the neighborhood where you live, your home may stick out if the other homes around it have different siding. Since curb appeal is so important, you may find that you have a hard time selling your house, or the aluminum siding may even result in a lower value for your home. 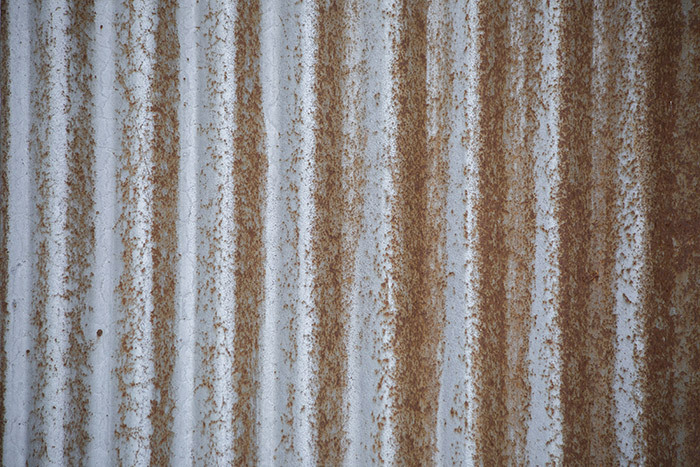 Sometimes, the sun, wind and rain can contribute to a rougher look on the aluminum, which further depreciates your home’s value. 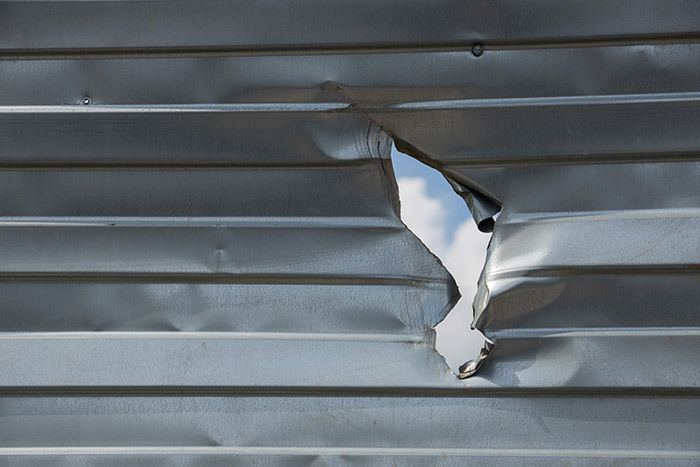 As strange as it sounds, aluminum siding can be noisy. When the sun heats up the aluminum, it’ll cause slight fluctuations in the metal that may be unnoticeable to the naked eye. Instead, you may actually be able to hear the aluminum dinging from these temperature changes. Similarly, the wind can do a number on aluminum siding and produce the same annoying sound. When it gets hot in Madison, the heat from the sun can easily warm up the siding to the point that it’s too warm to touch. This can be a safety hazard for children playing outside. If you’re running the air conditioning, be prepared to have it possibly running even more than it needs to because the heat from the siding is absorbed and brought into the home. In cold weather, aluminum isn’t the best at keeping cold air from entering into the house. Weather-proofing strips can be added, but aluminum is still not the most energy-efficient option. As mentioned, aluminum siding (like wood siding) will be affected by the outside elements. When the weather changes, it can cause fluctuations in the size of the aluminum siding. This is a natural consequence of the weather and cannot be controlled. When these fluctuations happen, the siding may unfortunately start to create gaps or holes in different parts. When it rains or snows, the moisture can get trapped in those holes that have been created, which may result in leaks coming through the siding. Also, during a heavy rainfall with strong winds, the water may be blown up under one panel that isn’t protected. In addition to leaks, this can also cause rust on the siding, which isn’t easy or cheap to fix. In the end, there are many negatives to aluminum siding that make it a less than preferable option. It can be easily damaged by natural elements such as trees or even by kids playing around the house. It can also suffer due to the weather, which may result in rust or leaks that cause further damage to the inside of the home. While it is easily damaged, it’s not easily repaired, so homeowners need to be prepared to shell out money to paint and fix it more than other types of siding. If the environment is important to you, aluminum siding is also not a green-friendly option since it’s not energy-efficient. 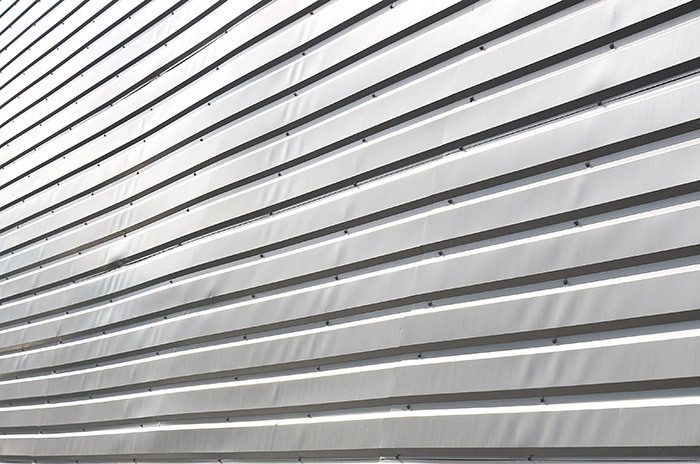 While there are some modest benefits to aluminum siding, it’s important to be knowledgeable about the downfalls so that you can make an informed decision. If your home needs an upgrade from that old and inefficient aluminum siding, look no further than Feldco. Our durable, energy efficient and beautiful vinyl siding comes in many different styles and colors and requires virtually no maintenance. Get a free quote now for new siding from Madison’s best.